The nation is well acquainted with the movement to “Eat Local," but the push for sustainable agriculture stems from more than just a healthy lifestyle trend. The Food and Water Watch alludes to the suffocation of sustainable farms in the chokehold of industrial competition, and warns against the threat of factory farming practices on the ecological, economic, and biological cycles of life, as Americans know it. The USDA defines a farm as any operation that produces one thousand dollars of agricultural products annually. University of Texas Austin students practice sustainable farming techniques at the UT Microfarm where they can learn to grow their own food in an environmentally friendly way. 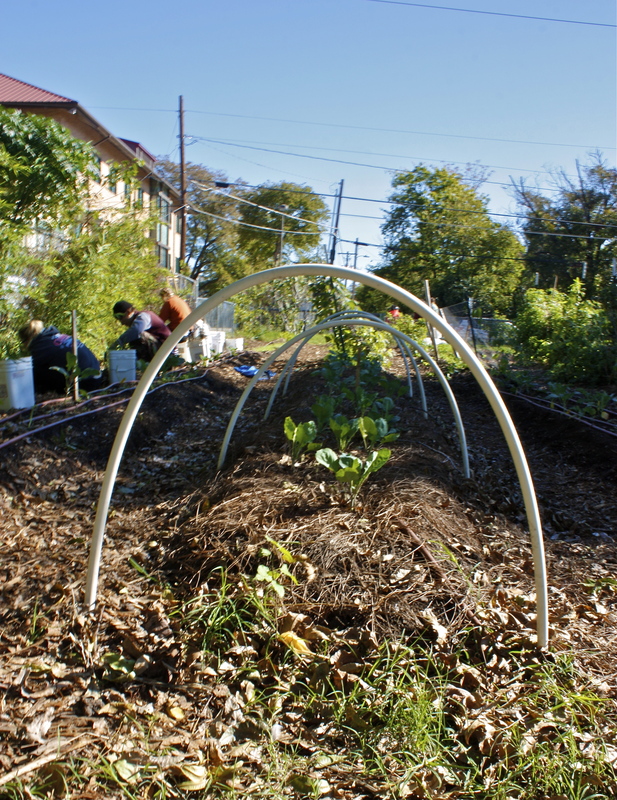 Volunteers plant, maintain, and harvest their own crops with the guidance of Microfarm directors and interns. Steve McNulty is the farm’s pesticide and fertilizer intern and is responsible for treating and documenting crop growth and infestations. The Microfarm uses organic products and avoids over spraying its plants to prevent the risk of runoff pollution, said McNulty. “The really bad pesticides you hear about contaminating drinking water… those are chemicals manufactured in factories. We use organic soap and neme oil, which is also organic. So, if it does run off, it’s not nearly as harmful (if harmful at all) to the environment,” said McNulty. The USDA’s quinquennial Census of Agriculture report recorded a decrease in the number of farms on which fertilizer, manure, or chemicals were used from 2007 to 2012. However, the second and third most costly increases in farm production expenses were from fertilizers and chemicals respectively. The number of farms that used chemicals to control crop growth and treat for pests and diseases, also increased. Amy Marsh, the UT Microfarm compost intern, oversees the compost process at the farm. Each pile contains six to nine layers of material that alternate between coffee grounds, greenery, and leaves, said Marsh. 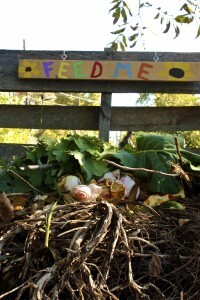 When she finishes an apple or has a bouquet of dead flowers, she can simply toss them into the pile, “It’s cool that while I’m gaining sustenance, I can provide sustenance for the future,” said Marsh. 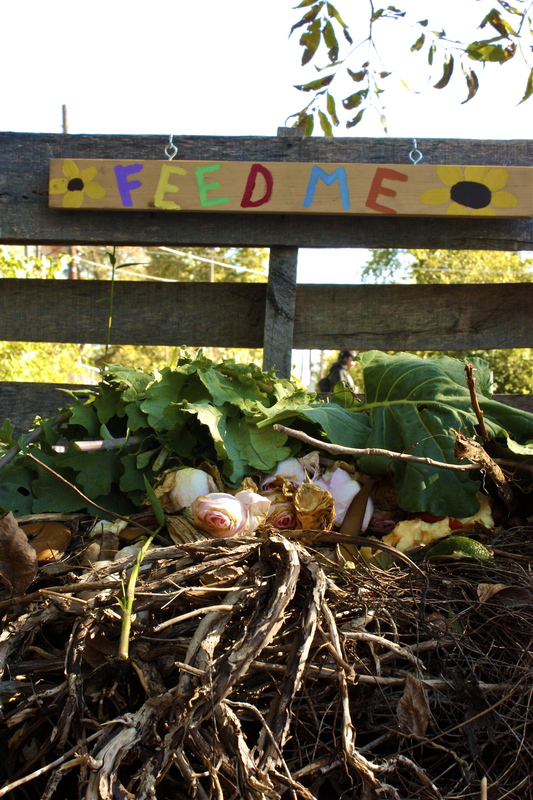 The Microfarm’s compost bins are labeled according to their current stage of decomposition. In Factory Farm Nation 2015 Edition, the Food and Water Watch said if industrial agriculture practices continue, they will result in an economic and environmental backlash as the product value per agricultural unit plummets and the resulting waste accumulates. The scale of manure produced by industrial livestock is so large that it must be applied to the soil in quantities that exceed the land’s natural ability to incorporate the waste, resulting in run-off pollution and potentially toxic saturation. In 2012, factory farm livestock produced 369 million tons of manure, thirteen times the amount of the U.S. population’s sewage production and enough to fill the Dallas Cowboys stadium 133 times. If the total amount of manure produced in 2012 were dispersed among the USDA’s recorded number of farms said to treat their soils with organic waste, approximately 1,300 tons of manure fertilizer would have to be applied to the land of each farm to utilize all of the byproduct. Of course, not all waste can be recycled, and large amounts fill manure lagoons that risk leaking into the environment. 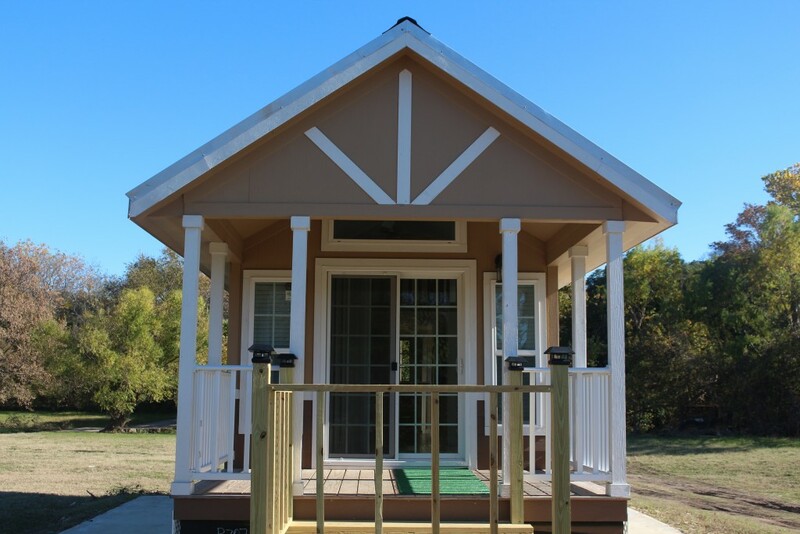 The rest is either transported to an off-site location, or spread among the soil of the surrounding area. 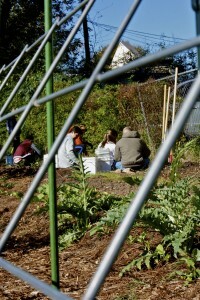 Every Sunday morning, volunteers meet at the Microfarm to tend to their crops. Seventy-five percent of these antibiotics are undigested by livestock and pass via the urine and feces of the livestock to the neighboring water supply and soil. Sustainable farmers avoid using such treatments and as a result, are at an automatic disadvantage when competing with factory farms. More than half of U.S. farmers lost money in their operations in 2012, while the number of livestock units* on factory farms increased by 4.8 million to a total of 28.5 million units. 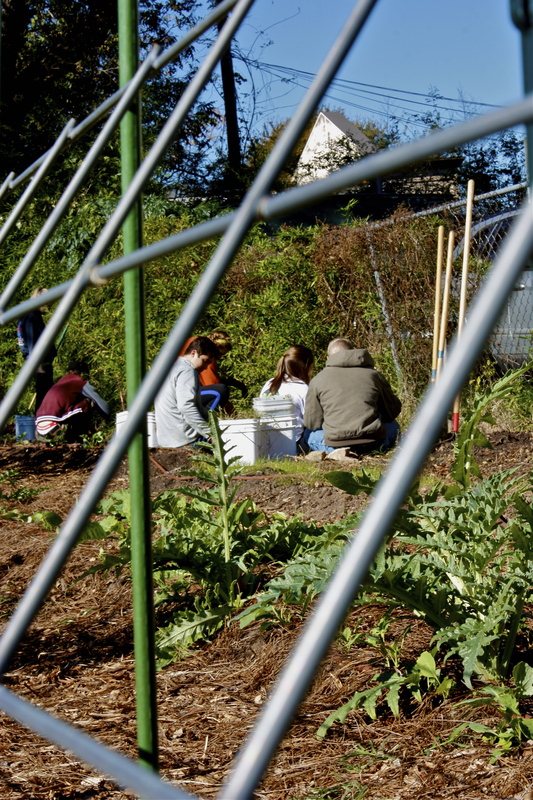 The UT Microfarm faces a similar challenge as university expansion plans threaten to overtake their plot of land for the construction of tennis courts, forcing the farm to move locations. 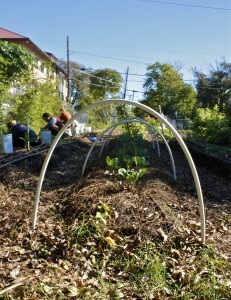 While the new plans are not official, members engage in the common struggle of small farms to justify their importance in the shadow of urban development. The microfarm’s beautification intern designed decorations made of painted, recycled plastic bottles. The USDA recorded a plateau in the number of local farm direct-to-consumer sales since 2007. The administration said this might have resulted from the condensed competition of urban niches where sustainable farmers have already established a community presence and have access to more market hubs and lower transportation costs than rural farmers outside of the metropolitan sphere. “Farming affects everyone, but only two percent of the population in America farms,” said Marsh, which is troubling because “everyone has to eat,” and the modern methods for meeting this need have become dangerous for everyone and everything involved. 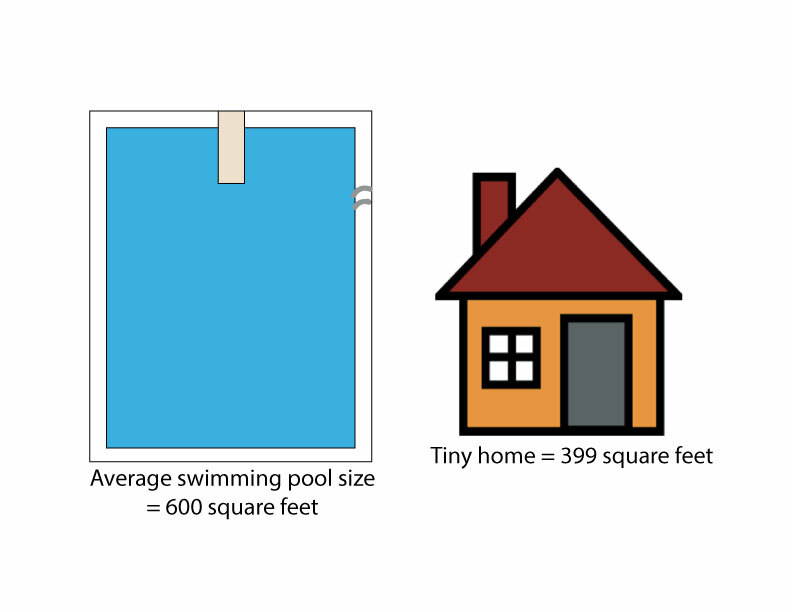 * “Livestock units” allow for measurement of different kinds of animals on the same scale based on their weight. For example, one beef cattle is equal to two-thirds of a dairy cow, eight hogs, or four hundred chickens. On a practice field in Austin, ponytails dangling from helmets may be the only giveaway that this isn’t your typical men’s football game. Austin Outlaws is the official women’s football team in the capital of Texas. It is the city’s only full-tackle female football team. The women are entering their 16th season as a team this year, a rare accomplishment that only two other teams in the country can boast of. The Women’s Football Alliance (WFA) is the largest of three female football leagues in the nation. Founded in 2007, WFA’s goal is to give women a chance to play the sport instead of just men. “We aim to play football at the highest level and gain national recognition so we can one day provide an opportunity for women to play professionally,” says Lisa King, WFA’s Director of Operations. Fundraising is the main way that individual teams across the nation raise money. These fundraisers help cover the costs of equipment, gear and field time. The alliance also receives sponsorships from various donors. “Fundraisers for teams include anything from selling merchandise, working fireworks booths, selling concessions at games and doing car washes,” King says. WFA is divided into 10 professional conferences across the nation. The Outlaws are part of the American Conference South West Division, along with four other teams spread across Dallas, Arlington, Corpus Christi and Houston. The Outlaws played a total of 10 games during the 2015 season, taking home a total of two wins and eight losses. As with all full-contact sports, several bylaws are put into place to ensure the safety of players. Athletes must be at least 18 years old and must provide proof of health insurance. Unlike most male professional teams, WFA teams have no responsibility in the case of a player injury. Individual players are responsible for any costs that occur if they are hurt. All players and coaches are required to sign an injury waiver before participating in any practice or game. On a national scale, the Outlaws are just one of 40 teams belonging to WFA. The alliance plans to add nine new teams to their program during the 2016 season. This expansion will help minimize travel for teams, while maximizing the exposure of women’s football across the country. He wore shiny black dress shoes, dark pressed pants, and a black velvet blazer. He carried an umbrella cane in one hand and a glass of neat scotch in the other. 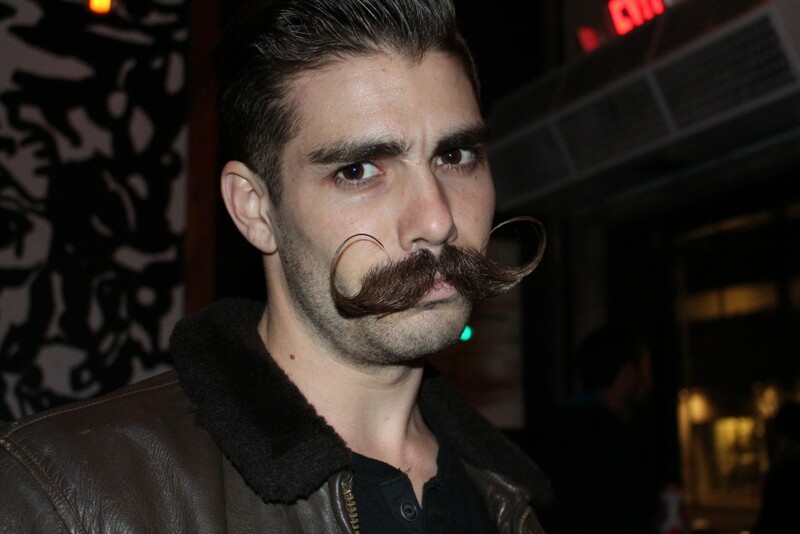 However, it was his handlebar mustache that made him intimidate. 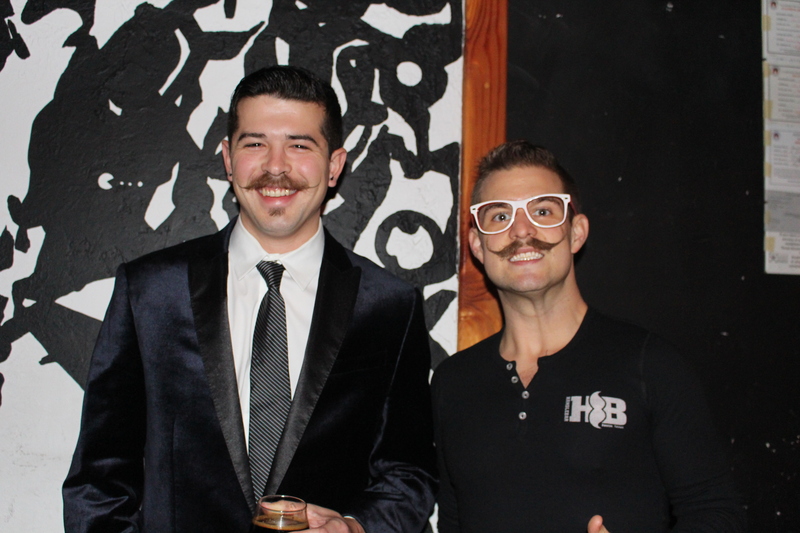 Josiah Anderson was one of the competitors in the Handlebar’s 4th Annual Mustache and Beard Competition in Austin, Texas on Nov. 30. 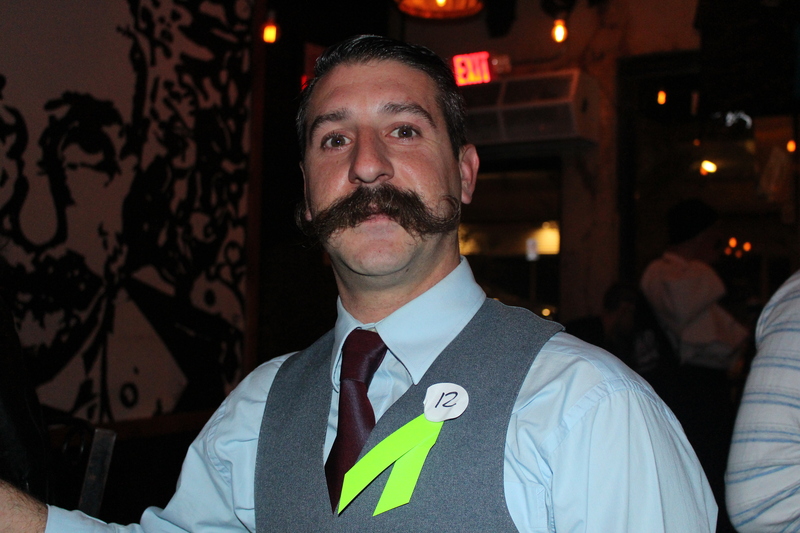 This competition, among other November events, like the Mustache Dache, is just one of several ways people bring awareness to the Movember movement. 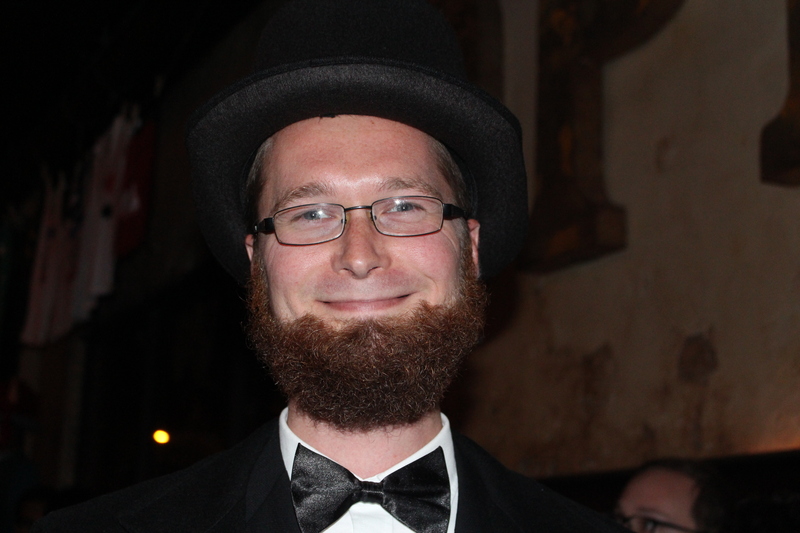 November has become famous as the ‘No Shave November’ month. The Movember movement embodies four facets of men’s health: prostate cancer, testicular cancer, mental health, and physical fitness. 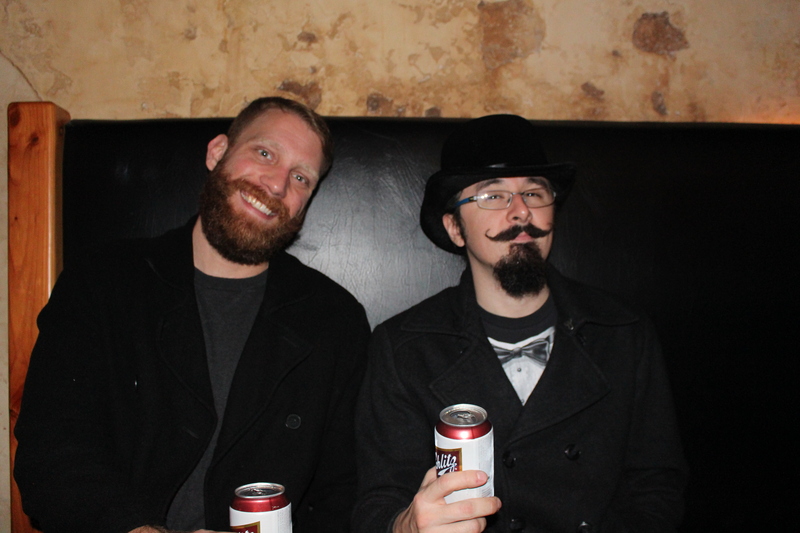 Many men participate to pay tribute to those they lost from the disease by growing out their mustaches and raising money for the cause. 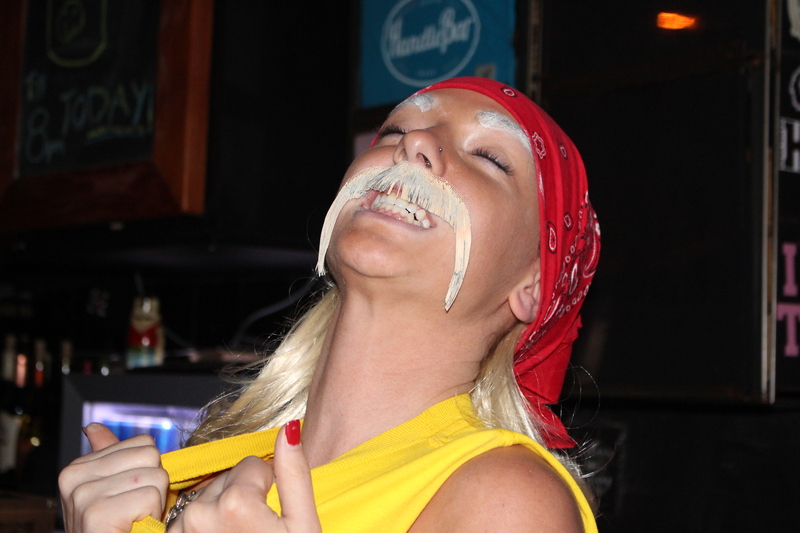 “After my grandpa died, I swore that I’d grow out a mustache forever…In Puerto Rico, having a mustache signified maturity and is the signature of a man. My Grandpa would have been proud. Our culture meant the world to him. I’m doing this for him and the battles he went through in war and in his battle with cancer,” said Anderson. 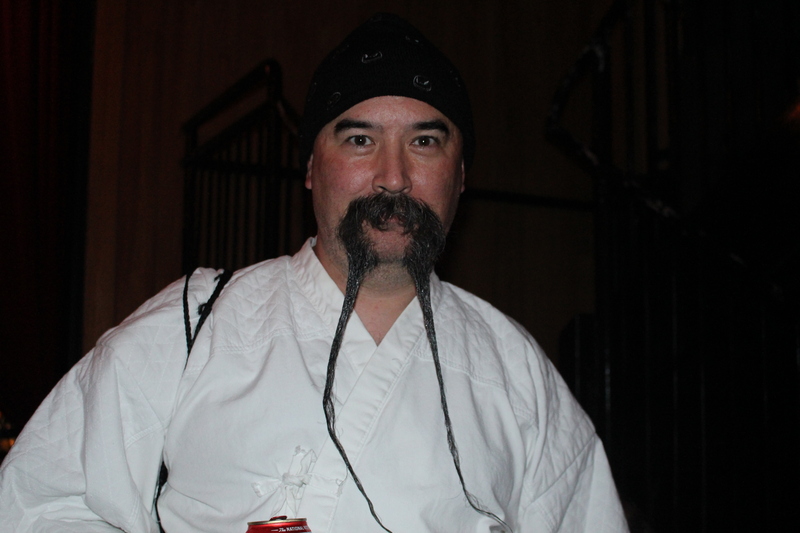 Anderson has traveled from Los Angeles to compete in multiple mustache competitions. He has won national competitions across the U.S. 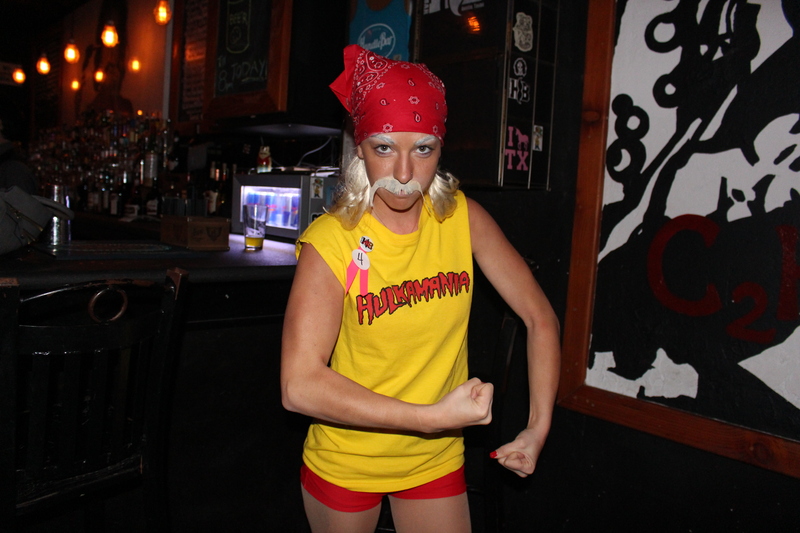 The proceeds from Handlebar’s competition go to the winners. Anderson donated his prize money to the Movember Foundation. 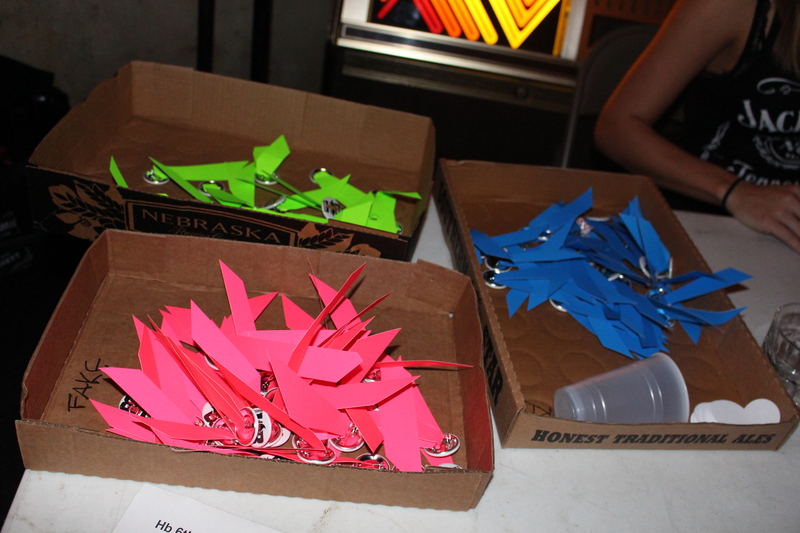 Ribbons put on the competitors, assigning them numbers for the competition. The Movember Foundation, a global charity, has raised $650 million and funded 1,000 projects since 2003 for prostate cancer, testicular cancer, poor mental health and physical activity. On a local scale, smaller organizations have also made a big difference. The Intra-fraternal Council at University of Texas at Austin organizes many events over the course of November to raise money. UT’s Movember campaign raised $30,462 last year, according to President Lee Lueder. “I never thought this would happen to me…It felt like a bad dream that I couldn’t wake up from. I never got that “cancer” realization where everything comes into perspective, but I do know that I am lucky to have caught it in the early stages. I’m one of the lucky ones and I can’t believe that at this age…at 22… I would have to go through something like chemo and radiation treatments. I had a lot of support though, and can report now that I am cancer free and in remission,” said Alex Howard. Alex Howard graduated from The University of Texas at Austin in 2014. At the beginning of July he was diagnosed with testicular cancer. He was officially cancer free and in remission by the end of November. 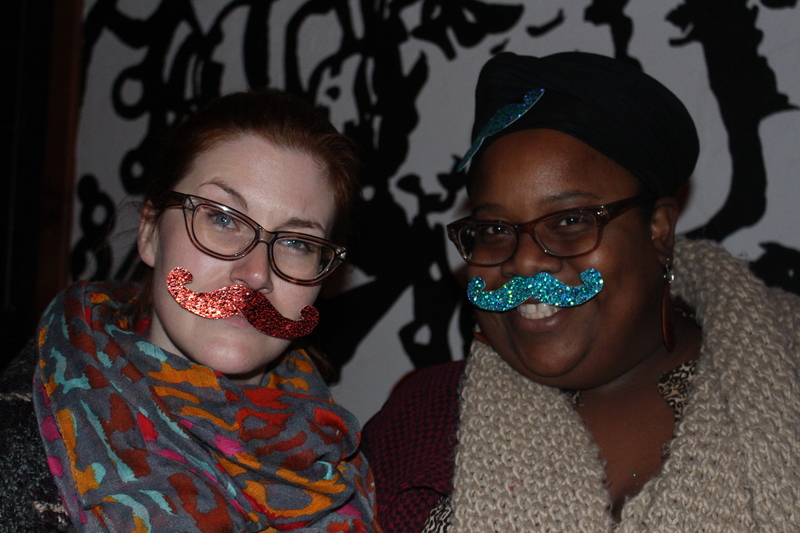 The students also encourage involvement in other events not affiliated with the Movember campaign. 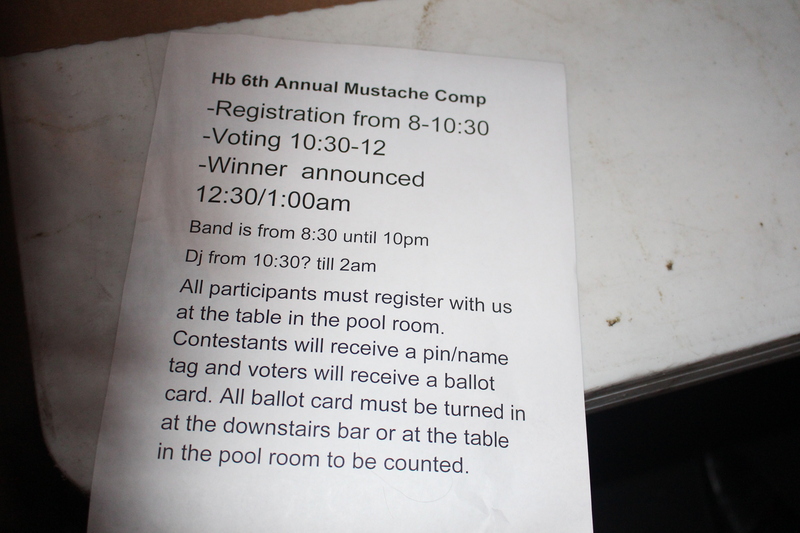 The Mustache Dache is a mustache-themed 5k running series that occurs all over the country. It is a for profit event that partners with ZERO charity, a national nonprofit organization with a mission to end prostate cancer. “We do this every year, I think it’s a great cause. I don’t think a lot of men know how to show support for one another publicly, especially for something like men’s health. There is definitely a stigma with sharing a cause that deals with testicular and prostate cancer. Breast cancer gets a lot of publicity by women, but this time it’s time to focus on Men’s health and how we can improve it as well. It’s important we do, because all cancer is bad and it effects everyone,” said running participant, Shannon Barron. 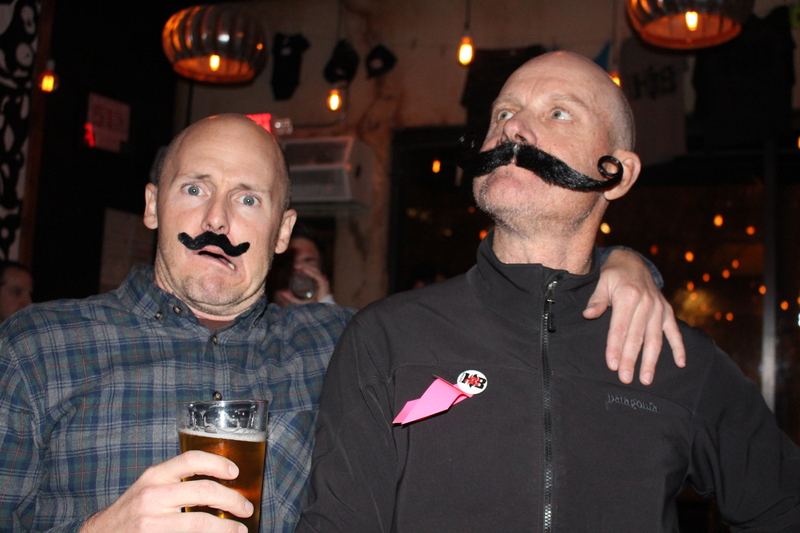 Out of every entry fee in the Mustache Dache, two dollars are donated to ZERO – The End of Prostate Cancer charity. All proceeds in Zero Charity go to Advocacy and Government Relations, Research, Early Detection, and Awareness and Education for Prostate cancer. “People think that this can’t happen to you, and that we are invincible. You may raise money for cancer and try and increase awareness, but you never know how important those things are until it happens to you. The money and support from these organizations quite literally save your life, and I’m glad that people of all ages, especially twenty year olds, are passionate about this cause,” said Howard. Most millennials would say Jazz is a dying genre in the music industry, but it’s expected. When kids of the 90’s don’t recall the dewey decimal system, it’s hard to reach further back and remember great blues artists like Buddy Guy and Marcia Ball. But two brothers, Glenn and Alex Peterson, are keeping the music alive. 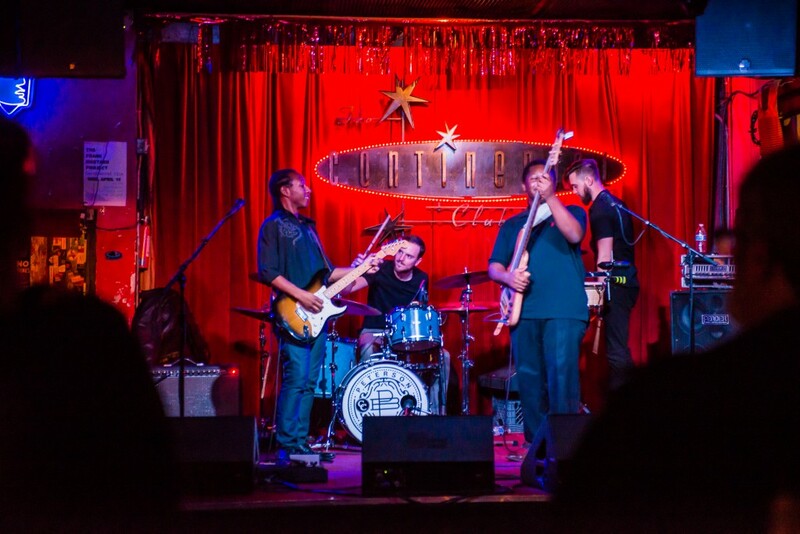 Born and raised deep in the “Lost Pines” of Bastrop, Texas, the talented duo are breaking barriers and making memories in the Austin music scene, sharing stages with artists such as Los Lonely Boys, Lisa Marie Presley, and B.B. King. What’s even more impressive; the two have only been in the business for 7 years. 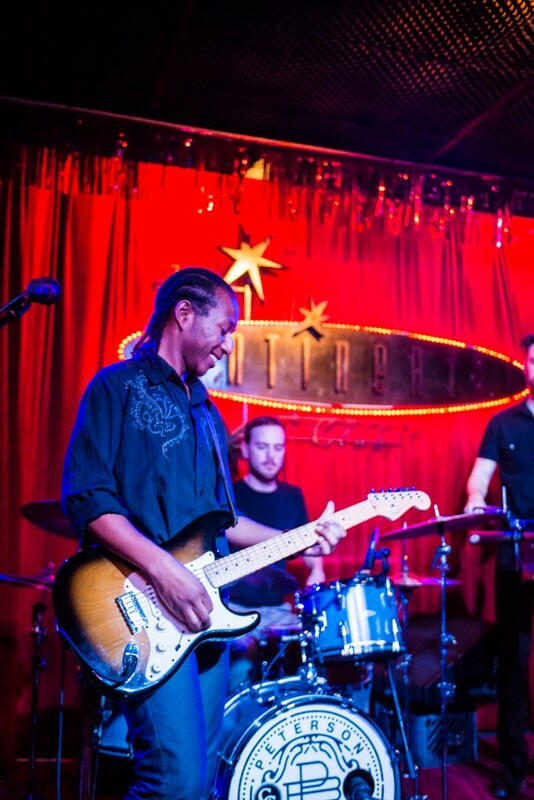 The Peterson Brothers Play every Monday night at the Continental Club in Austin. Brothers Glenn Jr., 18, and Alex, 16, have tried every sport a kid could try. With the support of their parents in basketball, to soccer, to football, each hobby didn’t last long. It was only their joy in music however, that made the cut. 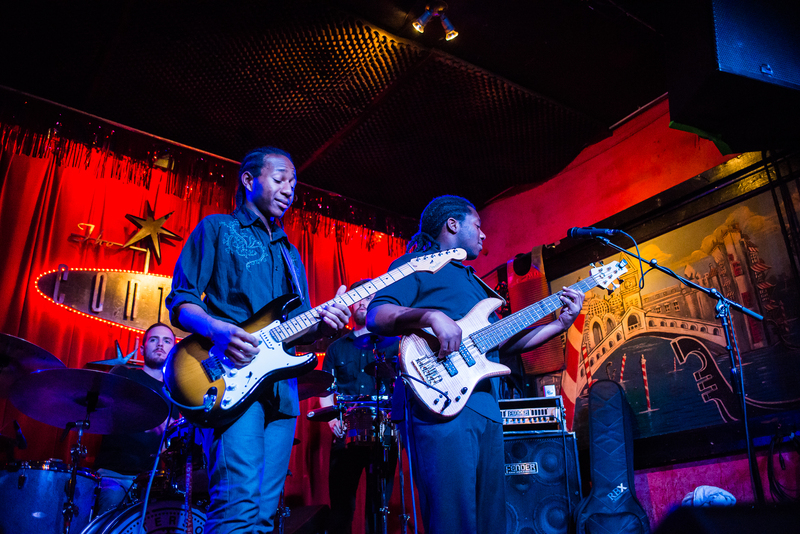 Glenn is the vocalist for the band and plays guitar delivering the funk and rhythm mixed with traditional jazz leads. Alex brings the boom, literally. Working on bass guitar, he keeps the beat low and the vibes high, with a smoother, “swing”-like style. With a little mojo and a lot of hard work, the two formed The Peterson Brothers Band, accompanied by drummer, Chris Mead. Alex Peterson, 19 playing the guitar. Many would agree there aren’t many young groups renovating blues. There aren’t many younger people inclined to blues either; the sub-genre itself is not a top ten amongst millennials. 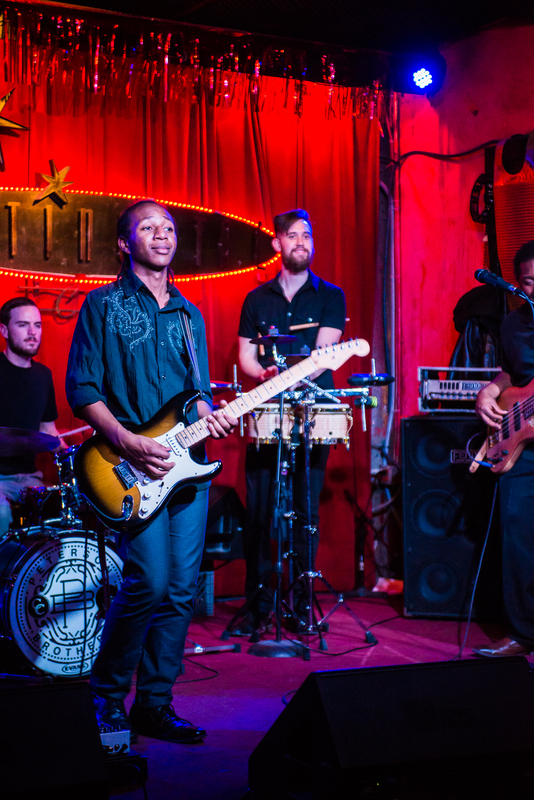 However the chemistry between the Peterson brothers is obvious from the stage, and the two are rising in the Austin music scene. “Having my brother up there with me, connecting… They can feel how much fun we’re having, they can feel the vibes. The nervousness is never there anymore,” Glenn says. The Peterson Brothers Band make a note to never play the same song the same way twice, and make every performance their best performance. 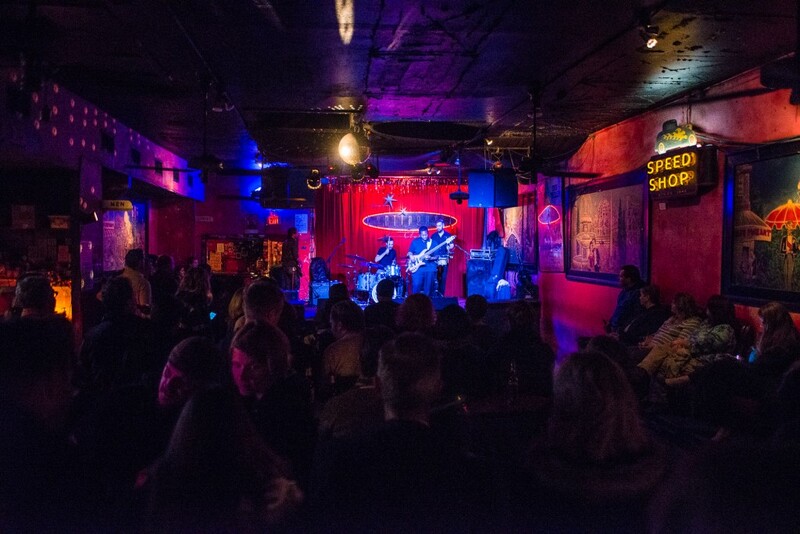 With the support of their parents and a solid fan base, they’ve hooked residency at the Continental Club, Half-Step, occasional weddings, and more just this year. Meanwhile mom and manager, Deanna Peterson, handles the business side, and the boys stick to making good grades and good music. Somehow, the two never quarrel finding time to balance academics, music, and family. Glenn recently graduated from Bastrop High School, and Alex is completing driver’s Ed. In fact, the brothers just released their first recording this past summer, debuting 11 tracks of smooth jazz with originality and respect to blues. “I think our dream is just to be able to do this for the rest of our lives and keep the fun in it’,” the boys say. 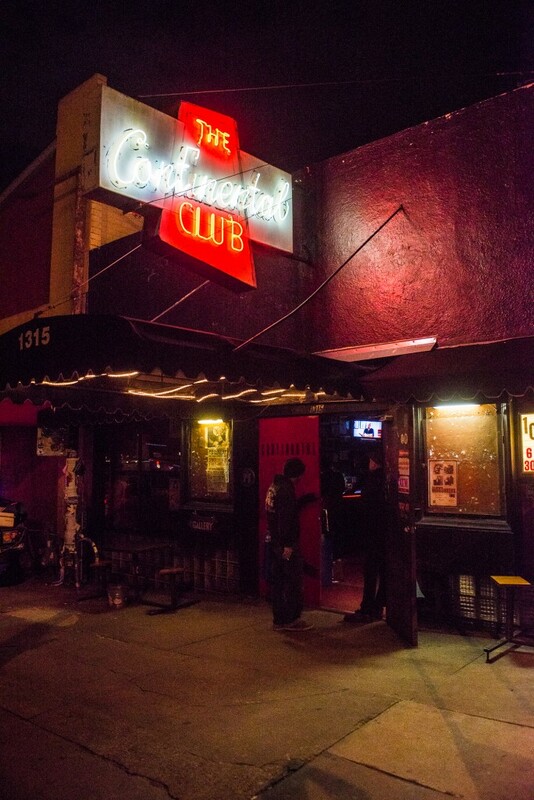 The Continental Club on South Congress in Austin, Texas. Photos and Video by Jonathan Vail and Kylie Hopkins. AUSTIN, Tex.— In a small, bright blue room, Wendy Mitchell sits on the floor, prepared to perform her next surgery. 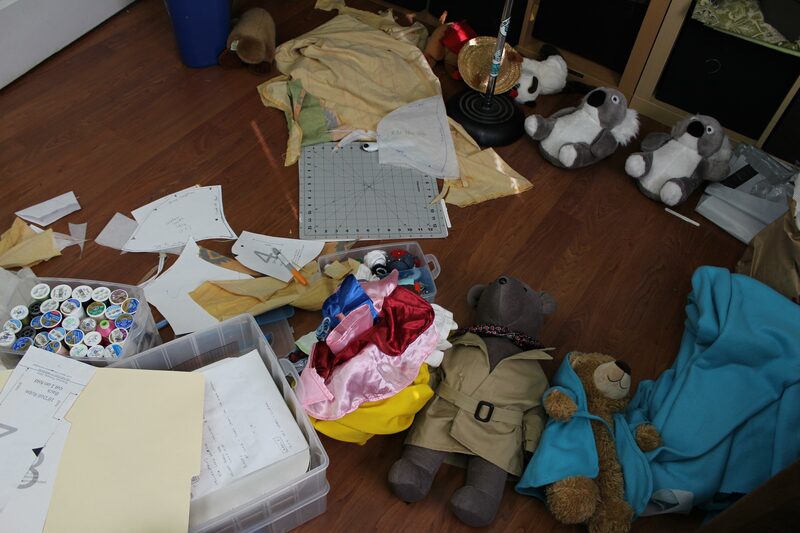 She takes her sewing needle and thread and begins to stitch up her latest patient, a stuffed animal whose tail had been torn off by a dog just days before. 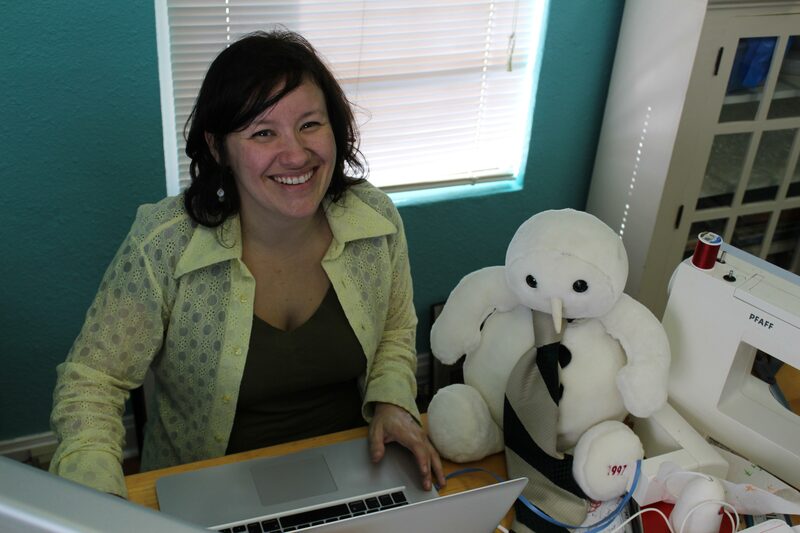 Mitchell is the founder of The Stuffed Animal Rescue Foundation, a free Austin-based adoption agency for stuffed animals. 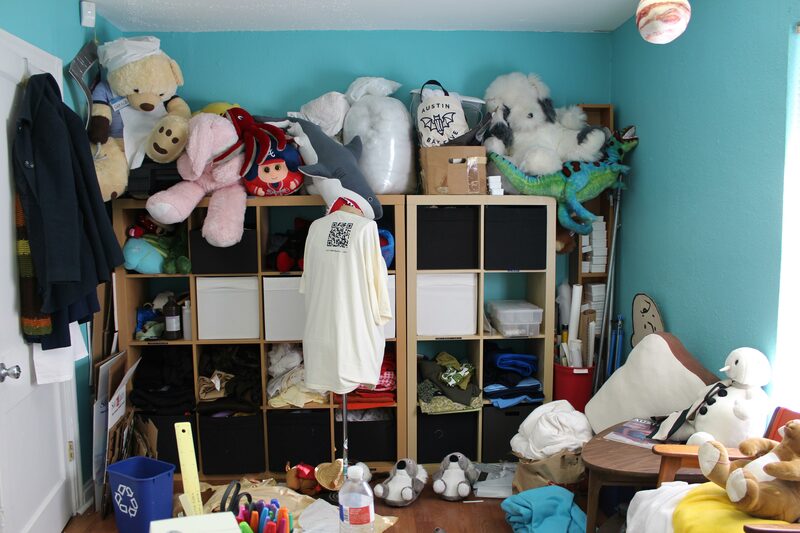 The foundation also offers stuffed animal repair services and hosts petting zoos around Austin. The animals, which range from a snowman in a tie to a psychedelic dinosaur, were either found, donated or, on occasion, they simply show up at Mitchell’s front steps. “Sometimes, they just knock on the door,” Mitchell said. Mitchell runs The S.A.R.F., which began a little more than seven years ago, out of her small marketing office in Northeast Austin. 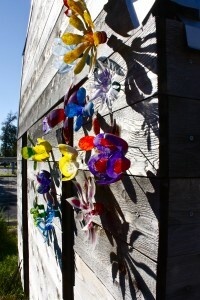 She started the project as a creative outlet for her to write. With every new animal, she said she sits down and helps them write their own bios to post on the adoption website. 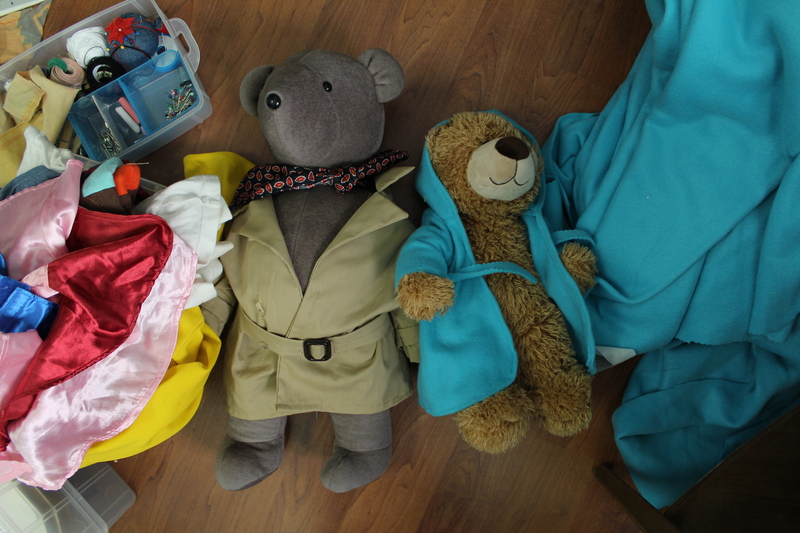 By creating backstories to each animal, Mitchell said the animals become more appealing. To apply, potential adopters can fill out an online application that outlines what their profession is, what their home life is like and why they think they are a good candidate. Mitchell said it’s very much like a real adoption agency application. Last year, 11-year-old Melanie Sylvana was in search of a stuffed companion. She and her mother came across the The S.A.R.F website and adopted Allen, a stuffed pig who is an accountant. She said he now has his own office in her bedroom and often helps her with his math homework. Mitchell said the people who adopt The S.A.R.F. animals are not just children — adults adopt too. Collette Girourard, who works as the Commissary Manager at the Travis County Sheriff’s Office, used to be a correctional facilities officer. 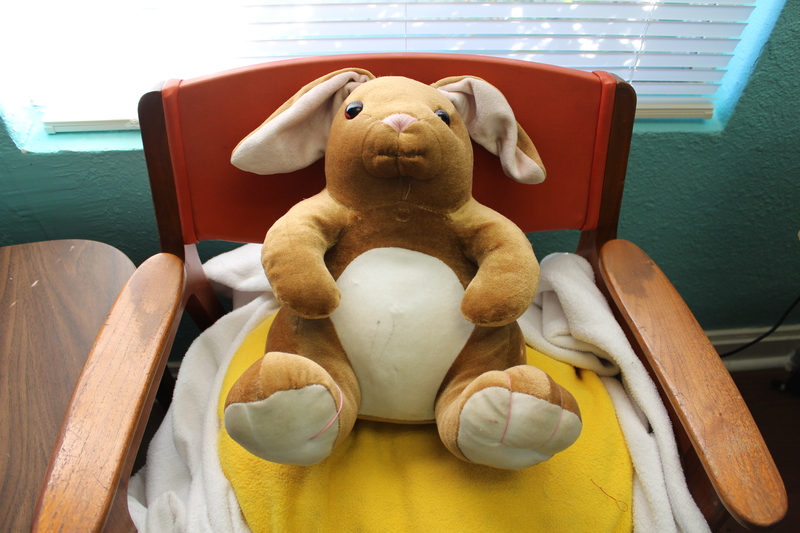 She attended one of Mitchell’s petting zoos and adopted Horace, a stuffed animal who used to be a prisoner and had been released from stuffed-animal Alcatraz. Although it’s time consuming, Mitchell hopes to continue expanding The S.A.R.F. She often thinks of her 19-year-old stuffed platypus and wants to help people find their own friend. “When people come and pick up their adopted animal, there’s something really magical about it,” Mitchell said. An overcast November sky washes out the already fading colors of a mural in the middle of Chicano Park. Children run past it, ignoring it. The vibrant blues of the swing sets call to them more than the dull greens and browns of the painting. It’s the painting’s deteriorating condition that draws in a group of twenty people on a chilly afternoon. This group is a part of the East Austin History Tour, a walking tour of historic Mexican American sites led by University of Texas graduate students Rocio Villalobos and Allison Reimer. The tour is inspired by Jane’s Walk USA, a series of free neighborhood walking tours inspired by urban activist Jane Jacobs, who fought for local residents and for the preservation of their community’s history. 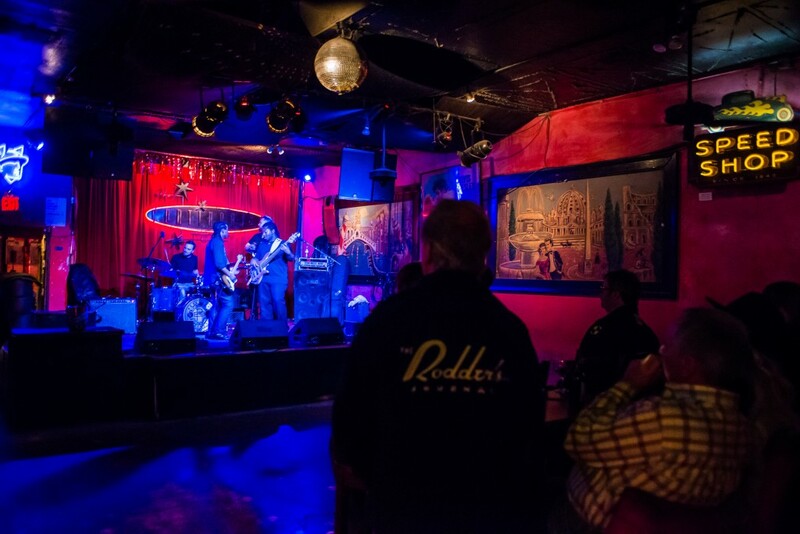 According to Community and Regional Planning graduate student Allison Reimer, this tour aimed to do the same during a time in the area’s gentrification. The tour covered a three-and-a-half mile walk through both well-known and hidden historical sites, starting in Comal Park and ending with the restored La Loteria mural. 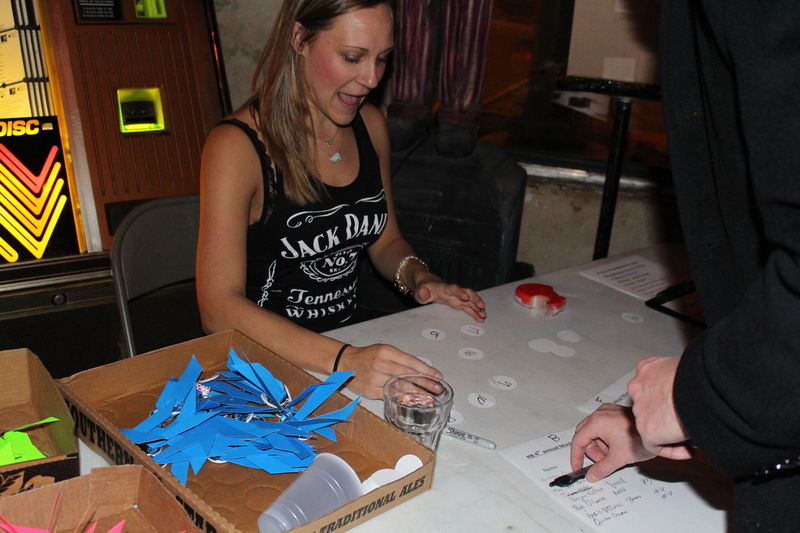 Although it is Riemer’s second year in Austin, she has already noticed significant changes in the East Austin community. “It’s something that’s on-going, and it’s happening everywhere. It’s important to hear from people from those communities,” Riemer said. Each site featured a different mural artists or members of the community who have seen the area change as early at the 1970s. Each speaker touched on gentrification, including the arrival of the Launderette, the location of a treasured Virgin of Guadalupe mural and a restaurant where “you can’t find anything under $15,” according to Felipe Garza. 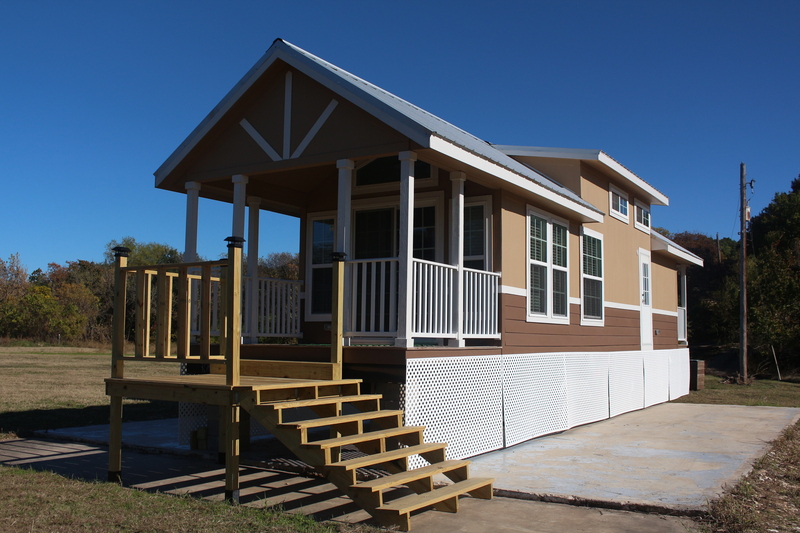 This is just one example where East Austin residents have been economically pushed out of their own community. 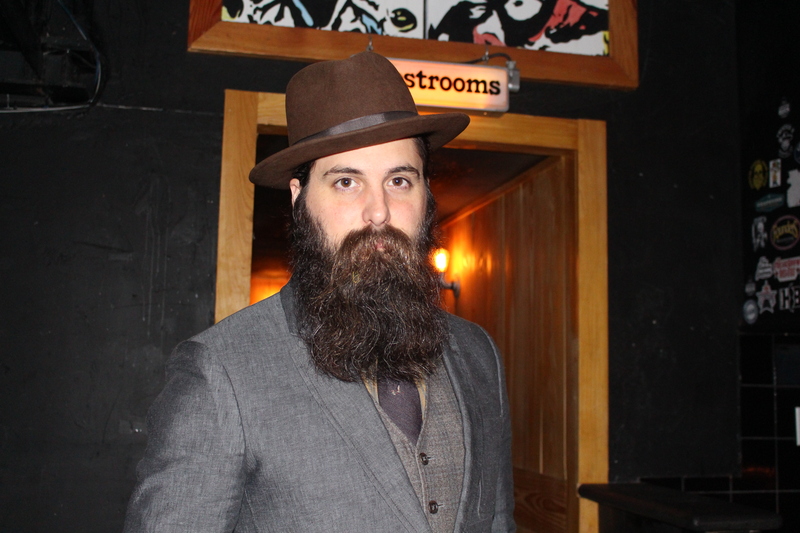 Felipe Garza, a former East Austin resident and the artist behind La Loteria, as well as mural artists Mando Martinez and Robert Herrera Jr., claimed that members of the community have been “taxed out.” The arrival of upscale hotels and restaurants in the East Austin area increased the value of properties. 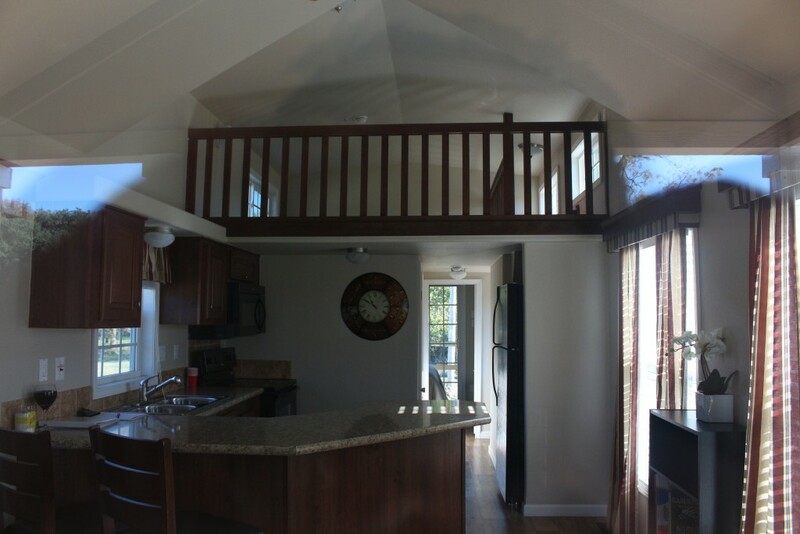 Their friends and neighbors were unable to afford the new rent and were forced out of the area. For Garza and other mural artists, the paintings were one way they could culturally and creatively express themselves so that they didn’t feel like “strangers in [their] own community” as new businesses took over. 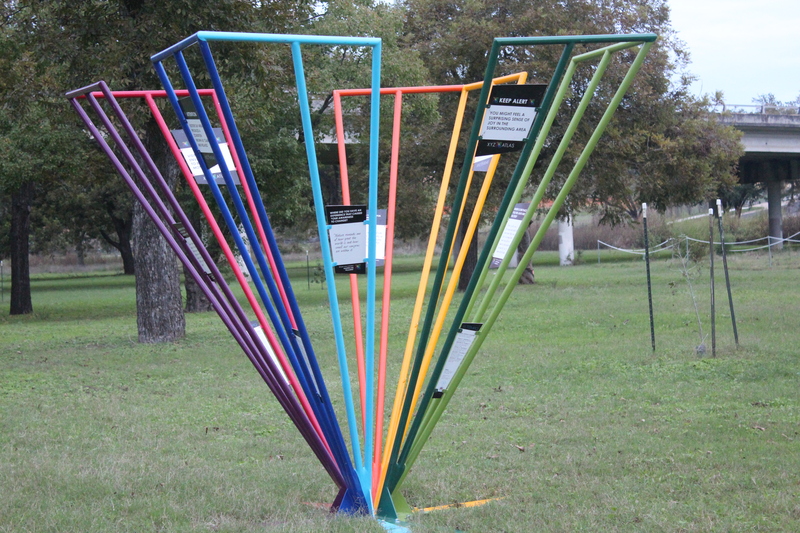 According to Bertha Delgado, East Austin Community Organizer and the Director of Arte Texas, East Austin’s value escalated once the Holly Power Plant was shut down in September 2007. “A lot of people neglected this area because of the plant. We didn’t have a whole lot of resources, and there were a lot of drugs, gangs and violence,” Delgado said. Many of the community’s “troubled” youth turned to graffiti, including mural artist Robert Hernandez Jr.
Hernandez later turned to murals and projects like Arte Texas when La Loteria, a cherished community mural, was painted over earlier this year. 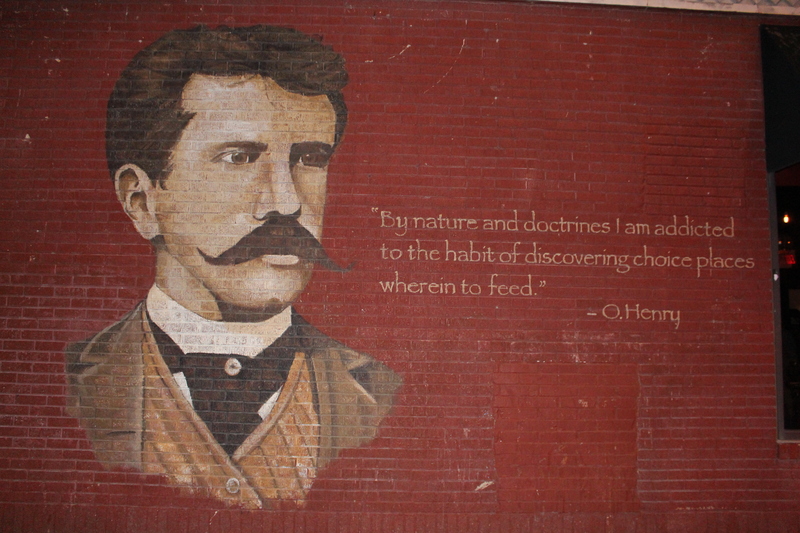 For Hernandez, the murals reflect cultural messages of the time that deserve to be preserved to honor past generations as well as those of the future. “I have children, and if they’re not self-assured and don’t feel strong enough about their culture, how can they be of any use to the world?” Hernandez asked. It is this sense of preservation that inspired the creation of Arte Texas. “It took a lot of community outcry. 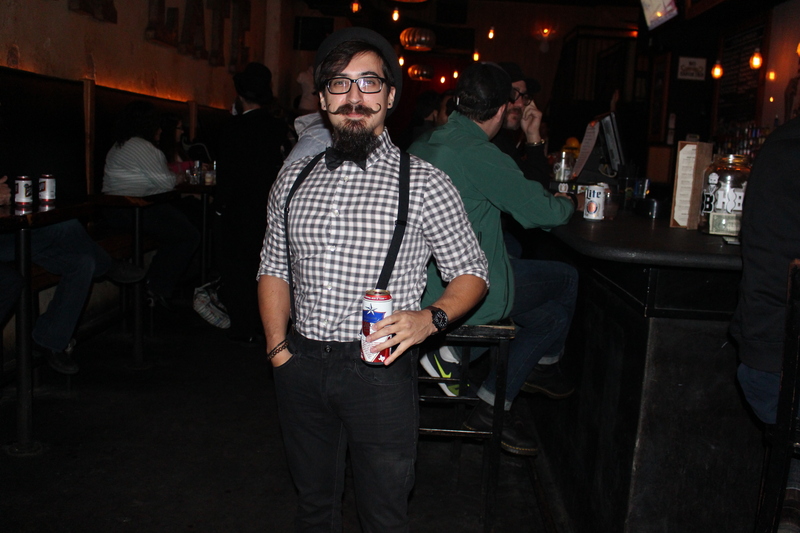 We felt like ‘how could these people do this to our businesses and our community?’ I think [La Loteria] showed the world that we were being gentrified and economically exploited and we need people to help us,” Delgado said. The support from the community as well as the city council let Delgado know that their work was important. According to Delgado, Arte Texas is currently working on restoring other beloved murals. 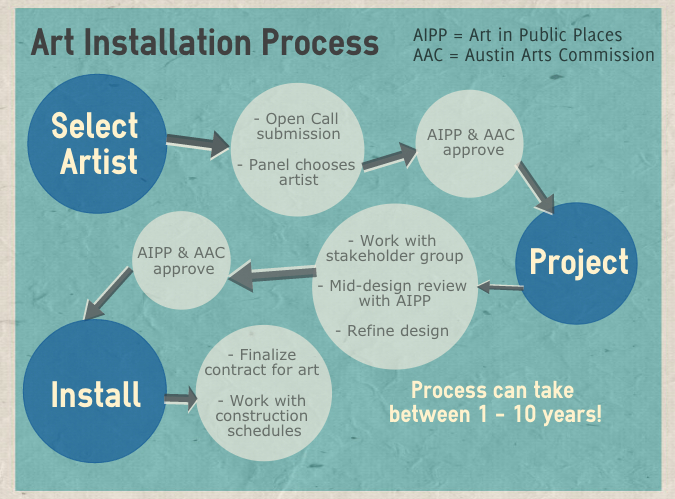 “We know Austin is ready to see more art, and we’re ready, “ Delgado said.